It is hard to plan an event budget unless you have a good idea of what expenses you will incur. It seems obvious enough, but the costs associated with event planning can come from a number of different places. Just when you think you have identified all of your expense categories, another one pops up to send you back to the drawing board. To prevent this from happening to you, use this outline of event planning expenses while creating your budget. Included here are the costs and fees typically charged by the event venue. It is often the most expensive category, but it is also the easiest to predict since you will get a formal cost estimate to review in advance. With that being said, don’t forget to factor in variable costs that change with your attendance numbers. Catering is a good example of this, as your food costs will increase with each addition to your roster. This category represents all of the items and services supplied by vendors outside of the host venue. Each one will bill you independently, so it is important to keep close tabs on everyone you are working with. Using a spreadsheet will help you organize your vendor contacts along with the costs associated with their services. Production includes all of the staff and resources required to plan and execute the event. These expenses begin the moment the event is dreamed up and continue through the post-event paperwork. In short, this category represents the cost of organizing the event, attracting attendees, and managing the administrative elements. There is no magic number for what you should set aside for unplanned expenses, but you need to expect the unexpected. 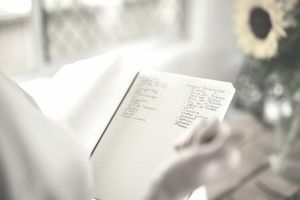 Some event planners suggest budgeting five to 10 percent over the anticipated expenses, while others choose a round number to work with. Larger events should, of course, allocate more because an oversight that is billed per person could run into the thousands of dollars. The purpose of this outline is to make you aware of the different types of event planning expenses that can occur. Every event is unique, so yours may include more or less of the items that listed here. The important thing is to know where your costs will be coming from. Overlooking expenses associated with a particular vendor or category can wreak havoc on your budget, but the worst case scenario is completely forgetting about an expense until the bill arrives.